LENT GROUPS: We are offering two Lent Groups, both continuing for 5 weeks. The lunchtime group meets in Bampton Church, starting with a simple lunch at 12.30 pm. The last session will be on Friday 12th April (we are not meeting on 5th April, when Bampton School have their Easter service). The evening group will meet at 17 Ashleigh Park, Bampton (the home of Jane Wilson) at 7.30 pm. 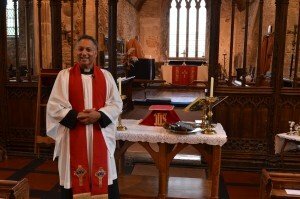 Further information from Revd Kevin Chandra (01398 331865) or Canon Jane Wilson (01398 332135). Holy Week Meditation is on Tuesday 16th April, 7:30 pm. Hymns, anthems, readings and prayers based on Stainer’s ‘Crucifixion’. Led by St Michael’s Choir in Bampton Church.